The appendix produces a bacteria-destroying protein called immunoglobulin, which helps fight infection in the body. Its function, however, is not essential. People who have had appendectomies do not have an increased risk toward infection. 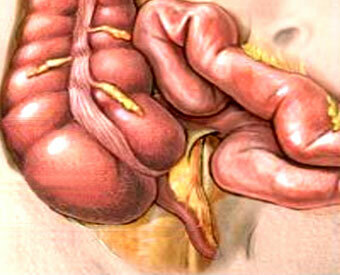 Other organs in the body take over this function once the appendix has been removed. Results may vary depending upon the type of procedure and patient’s overall condition. The words “laparoscopic” and “open” appendectomy describes the techniques a surgeon uses to gain access to the internal surgery site. Most laparoscopic appendectomies start the same way. Using a cannula (a narrow tube-like instrument), the surgeon enters the abdomen. A laparoscope (a tiny telescope connected to a video camera) is inserted through a cannula, giving the surgeon a magnified view of the patient’s internal organs on a television monitor. Several other cannulas are inserted to allow the surgeon to work inside and remove the appendix. The entire procedure may be completed through the cannulas or by lengthening one of the small cannula incisions. A drain may be placed during the procedure. This will be removed before you leave the hospital. You should call Doctor Botha and schedule a follow up appointment for about 1-2 weeks following your operation. It is important for you to recognize the early signs of possible complications. Contact Doctor Botha if you have severe abdominal pain, fever, chills or rectal bleeding. This website is not intended to take the place of your discussion with your surgeon about the need for an Appendectomy. If you have questions about your need for an Appendectomy, your alternatives, billing or insurance coverage, or your surgeons training and experience, do not hesitate to ask Doctor Botha or his office staff about it. If you have questions about the operation or subsequent follow-up, please discuss them with your surgeon before or after the operation.